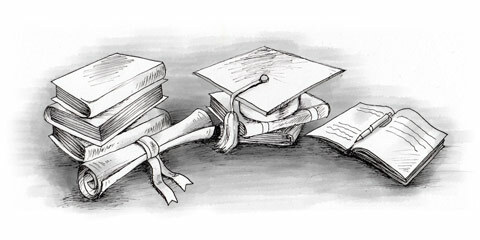 Admission requirements vary between universities and subjects in India. You will generally need a higher education entrance qualification. In addition, almost all universities take entrance exams. For further admission details you will either have to contact your desired university or take a look in a local newspaper, as they sometimes offer information on admission requirements as well. Most foreigners in India do not have to take entrance tests but will receive preferential treatment. You will be accepted to a university only on the basis of your higher education entrance qualification. In return you are expected to contribute to a building fund and have to pay higher fees, which explains the special treatment. Most Indian universities are internationally accredited. However, there are also many institutes that only exist to make fast money. Their courses are not recognized and their diplomas are worthless. Although Indian authorities are trying hard to proceed against these institutes still thousands of young Indians fall prey to their dubious offers. It is important to check your university’s reputation and international credit before you enrol in a program. For more information on education in India, check out www.education.nic.in .